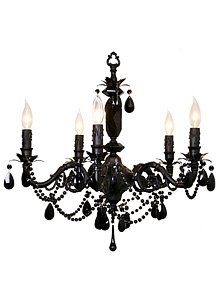 A black chandelier for a tot’s room may not seem like the obvious choice but it is fun and fabulous! If you are choosing a super girly girly room, like the vintage country chic look that Serena & Lily shows in their book, Nursey Style, it would be the perfect accent to give the room some depth and longevity – it takes it from pastel baby central to a sophisticated room girls of any age will appreciate. Maura Daniel has a full collection of lighting, so if you want to stay traditional, the Silver Sphere drop light is beautiful and timeless. There are also coordinate sconces for every style in the collection. 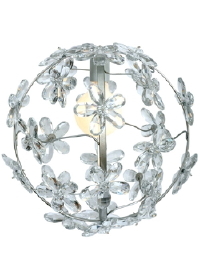 The Elizabeth Chandelier in black is $718 and the Chloe Sphere in silver is $338, both available at Layla Grayce. Both the Black one and the Serena lilly looks good. These are best for kids room. Maura Daniel collections is excellent.